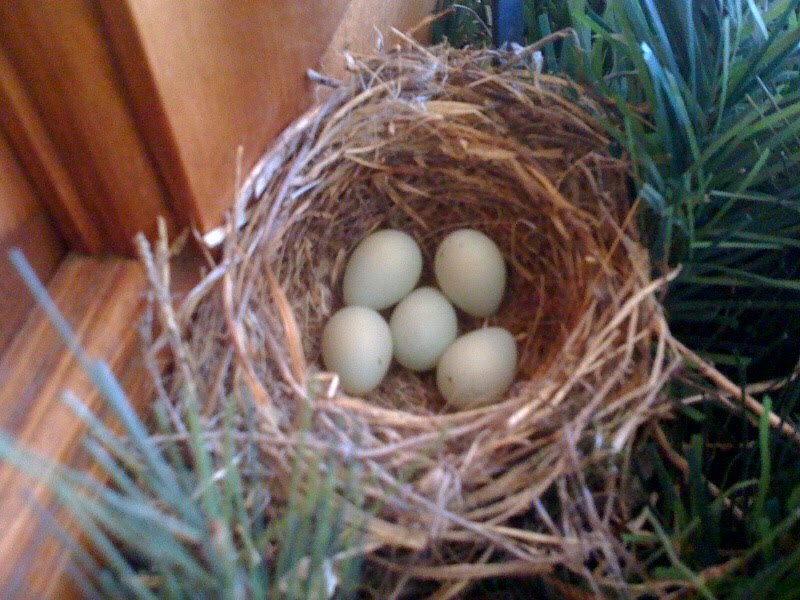 The birds aren't stopping their nesting even though the weather has turned frigid again. Kim in East Lansing, MI sent me a photo of a House Finch nest with five eggs on her front door wreath. Thanks for the photo. Keep us updated on their progress!